Who's not happy with today's news? Discussion in 'iPhone' started by Gix1k, Sep 9, 2014. I'm more amazed by the watch than I am the phone. I like the phone is thinner and bigger, but the display is an insult. No 4K video mode like other flagship phones. I am very happy with todays news. The chinese lady and the site freezing was not to good. As far as what they introduced, it is about what I expected. Would have liked a 16MP camera but if they vastly improved the 8MP, that will be fine, too! I guess that means you're moving to Android, not buying it, or complaining and still buying it. These difficult problems you face. A 64GB phone for the price I paid for a 32GB last time around, yes please lol. Very happy with the way it looks too, not that that is essentially important. I will upgrade soon. To watch on what, your 4K resolution computer, overpriced 4K TV, non-existent 4K cable system? 4K isn't market ready yet. I'm going to get down-voted into oblivion, good thing that button is no longer there I think the 6 is a big fail (and I hate using that word in this way). It the same size was the LG G2 with a 5.2" 1080p display, in an oddball 1334x750 resolution. Sony is able to fit a 4.6" screen in the Z3 Compact that is just a hair bigger than the 5s. Apple needs to get over the obsession with being thin. A downscale 4K video would look amazing on a 1080 screen. The quality is reduced....BUT it still looks better than a typical 1080 video. I'm disappointed by the display which is practically low res compared to the competition. Cable has 4K in some markets and some networks support it nationwide on the larger carriers,A 4k TV is cheaper than an iPhone, and most video cards can support 4k videos and movies. sooooooooo i agree with the OP. I agree, I don't understand why they don't address this. Where are the markets and cable companies providing 4K service with 4K content? The biggest content delivery and content creation services like DirecTV, Dish, Netflix, Amazon, Time Warner cable all do not support 4K. Comcast only supports 4K in one market by the use of an add-on app on the actual TV, it's not built into the cable system. What 4K television is selling for $1000 or can be subsidized from $200 - $600? What video cards can support 4K videos? 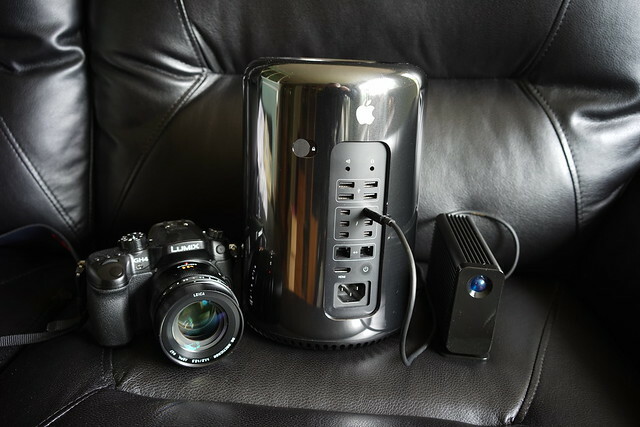 The new Mac Pro, sure. My 2011 iMac sure cannot. My neighbor's 2013 PC laptop sure cannot. The market saturation IS NOT THERE YET. Even the PS4 and XBox One don't fully support 4K. Seriously, did you just make up this information or what. Delusional. The market usually follows after the the hardware is available at a decent price. My pc does 4k fairly easily. It's not a mac and its not very cheap. 1080 is the lowest I go on anything anymore and wouldn't consider the smaller iPhone just because of it. If Apple released a phone with 4k then I would hope the ui would use over 1080 of it and developers would start producing apps and games that supported all of it. No reason to cheap out on the display when you can get devices with much better displays for this price range. Now on to my complaint the camera sticking out the back... Beautiful front and would be a beautiful back except I have a bubble sticking out of it that looks like an afterthought. I might have another complaint if it's not almost water proof (can drop it in the sink and fetch it without much risk of damage). It should just be expected that any device can take a quick dip without worries. Last complaint that isn't really about the iPhone but I'm complaining so why not throw it in here. Give me parental controls like the kindle fire has. I want to be able to give my kids their ipads without it just being another thing I have to juggle to make sure they are not abusing. Don't make excuses of why a company shouldn't produce things that could improve the experience and instead make excuses of why making products that are good enough for now are acceptable. Demand more from a company than just catching up to the entry level of high end. I'm looking forward to 4K on a 50" or larger tv at home. QHD, UHD, and 4K on a device with a screen less than 6" seems like a gimmick to me. 401 PPI on the iPhone 6 Plus seems fine to me. Even the 326 PPI on the iPhone 5*/6 seems pretty damn good for most of my uses of a device that size. Oh you poor boy, I will be getting a 4K smartphone to shoot my 4K videos like I have been doing since last spring with my Panasonic GH4 and watching them on my 4K UHD TV and stored on my Mac Pro's external LaCie 1TB Little Big Disk Thunderbolt-2 SSD. Really? You're using a PHONE for that? ...You poor boy. That is never going to be true. Downscaling will always lose QOR. I would still love to have 4K video and I'm surprised that Apple doesn't offer it. But downscaling is not going to be as good as original pixels. It is possible that you have compared different video sources (i.e. a very nice 4K camera downscaled to 1080p will probably look better than a crappy camera at 1080p). Yes specs are low res but Apple doesn't care about specs of what other phones have or the 4K ability. Their emphasis has and probably will always be Retina HD. Samsung? LG? Motorola? Pebble? Credit card hackers? sounds like a swell idea chap. Some people will never be satisfied. You can always go buy a Note 4.